It is easy to ignore the context that made this crime possible. Flowers at the Al Noor Masjid in Christchurch, New Zealand MICK TSIKAS/AAP/PA Images. All rights reserved. It is easy to blame Donald Trump or white supremacists for the massacre that was committed by a white man called Brenton Tarrant in Christchurch (Ōtautahi), New Zealand on March 15th. It is easy to ignore the rest of the story, and the context that made this crime possible. What is often missing from the narrative is that it is not only radical Neo-Nazis that make killing brown people and Muslims normal, acceptable and without moral or legal consequence. For decades, political discourse in Europe and other former European white settler colonies (United States, Australia, Israel, etc...) from the center to the far right has been actively de-humanizing Muslims.War after war resulting in the murder of hundreds of thousands and the destruction of whole countries is justified without the need to say more than "we are fighting terrorism" to make this mass murder by states acceptable and even desirable. And then, when those who are forced to leave their destroyed homes to safer places are murdered on their way to safety and treated like an incoming plague, and when the whole discussion in Europe and European white settler colonies is about the threat of non-white migrants, it is not shocking to see the murders in New Zealand, and less so the reasoning of the murderer. No centrist politician needs to use outright racist language for everyone to understand that when speaking of migrants as a threat no one means white people from other white places, because these are called ‘expats’, they do not migrate, they ‘travel’, they ‘move’ somewhere, they are ‘based in’ places. Those who migrate are those who are not welcome, those who are reminded daily that their lives are precarious because at any moment they can be sent back, humiliated, aggressed by the system or by the societies they live in, and sometimes murdered. There is nothing shocking about the massacre of Muslims in New Zealand. For many who are not white supremacists nor identify as such, the sight of Muslims praying has been perceived as a threatening act of violence for decades. Muslims praying is all you need to show alongside a sentence about terrorism to turn all those seen praying in that image into terrorists. The obsession with what Muslim women wear is not any different. The presence of Muslims in the public space by and of itself is treated as a threat and an aggression on an imagined European identity constructed in opposition to anything other, and particularly Muslim. This is not an extreme practice, this is not Breitbart or Fox News or 8chan, this is routine, this is almost every mainstream media outlet. Turn on any action movie or TV series and chances are you will see a scene of a white man mass shooting Muslims. The white man in this scene will not be a murderer, he will be the protagonist, the hero you are invited to identify with. The plot will explain that those he is mass murdering have no psyche, no conscience, no loved ones, no worth, they are faceless, random terrorists who eat, pray and then go about their day trying to kill “our way of life” for no reason at all apparently. Muslims are born angry and are inherently violent creatures. They have no historical context. Imperial and colonial violence has no space in this narrative. 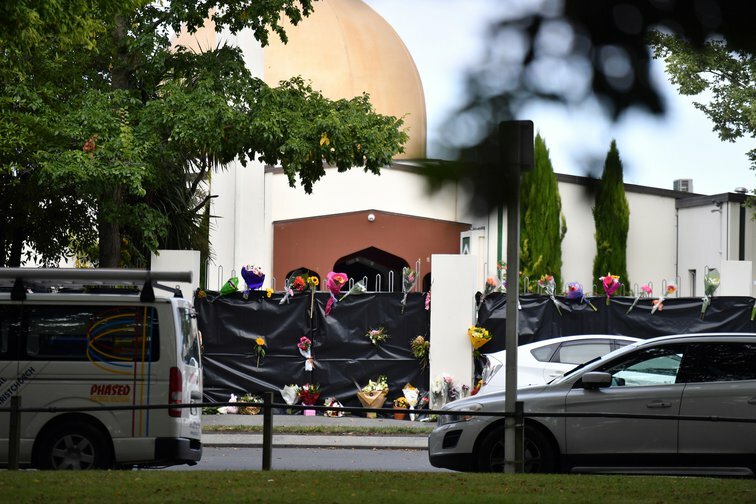 The crime committed in New Zealand on Friday is the natural product of European identity and anti-immigration discourse dominating the conversation in Europe and other parts of the rich and developed world. It is a product of the fear of losing privilege, one that comes with segregation between places and people who are exploited and those who exploit them. It imagines all others who arrive at the shores of Europe as wanting to do what Europeans did when they arrived at other shores: murder, expropriate, and dominate. It is not much different than men who are afraid of feminism because they imagine that women want to do to men, what men have been doing to women for ages. The people who are shocked at the mass murder, are shocked because the murderer has a face. For some, he is explicitly killing people for the same reasons that drove them to vote for the parties they vote for. Maybe the murderer is saying out loud what many say in secret or think to themselves. His manifesto is not the words of a deranged man, it is familiar, we have heard and read the words in the campaigns and speeches of many mainstream political movements across Europe, the US, Australia, Israel, and elsewhere. This time the murderer has a face and he killed with his own hands. Usually and on a daily basis, the murderer is hidden behind a smart missile, an army unit, a political decision, a state, a political speech, a border policy, or other less offensive means of committing mass murder. They all do the mass murdering, but in a way that makes it acceptable to their citizens, a way that does not disturb or offend the sensibilities of the average citizen and allows them to live with a clear conscience. Such forms of mass murder do not need to be called violence or terrorism, they are simply news items, and maybe every once and a while a tragedy even, but not more than that. They are never something that Europe or white people are accountable for. These are passive occurrences without a perpetrator, something that happens to those people because they are those people: their hospitals, markets and villages are naturally bombed by drones and smart missiles, their boats naturally sink, their children naturally starve, etc. But this is not the view from the other side; no one is shocked on the other side. And then we wait for a change that will not happen soon enough, and brace ourselves for the next mass murder. For those living as migrants, we brace ourselves for the normality of small aggressions one faces daily as a Muslim migrant or as a person of color, in places that treat otherness as a disease, until another massacre takes place here or elsewhere. Perhaps it is time for Europeans to prove him wrong.